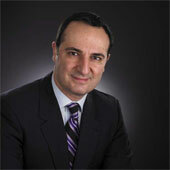 Dr. Skouras has been practicing ophthalmology and LASIK in Toronto since 1996. After receiving his Bachelor of Science from the University of Toronto, he then completed his medical training at U of T. He graduated from medical school with honours and was elected into the Alpha Omega Alpha Honour Medical Society. He completed his residency in Ophthalmology at the University of Toronto. Specializing in vision correction surgery, Dr. Skouras believes in a high level of excellence and thus is a member of numerous professional organizations including the Canadian and American Society of Cataract and Refractive Surgery, The International Society of Refractive Surgery, the Canadian Ophthalmological Society, the Royal College of Physicians and Surgeons of Canada, and the American Academy of Ophthalmology. Dr. Skouras is also a lecturer at the University of Toronto Department of Ophthalmology and Vision Sciences. It’s Dr. Skouras’ goal to help everyone discover the gift of vision correction. Dr. Skouras has a passion for helping people restore their sight through laser vision correction. He is a dedicated surgeon who truly cares about his patients’ outcomes. He takes a very cautious and thorough approach when choosing candidates for surgery and believes in using only the best technology available to optimize his patients’ results. At Skouras Eye Centre, we want to ensure you the best laser vision treatment options available and the best vision correction results possible. Dr. Skouras and his staff have specialized in laser vision correction since 1996 and continually update their knowledge and skills to provide advanced state-of-the-art technology to their laser vision correction patients. Why Choose Dr. Skouras as your surgeon? What sets us apart from any other laser vision correction center is Dr. Skouras is your physician from start to finish, a benefit that NO OTHER centers provide for their patients! Other laser centers have clinical staff and optometrists perform post operative care, but at the Skouras Eye Centre you can be sure that your complimentary assessment, your surgery and all post operative appointments are with Dr. Skouras himself! This quality of care ensures that all of your questions are answered by the surgeon, and there’s no confusion along the way. When it comes to your eyes, anything less than full, personalized care just doesn’t cut it. Dr. Skouras has chosen to provide state-of-the art technology, the VISX Star 4 Laser with Iris Recognition and the IntraLase laser for his vision correction patients. These results are fantastic and show the capability of the laser system. However, it is important to keep in mind that the laser and the software systems are tools for Dr. Skouras to complete his work. If you don’t choose an experienced and qualified laser eye surgeon in Toronto, even the best tools in the world won’t produce these results. Dr. Jeehyun Byun completed honours bachelor of science in human biology at University of Toronto, then moved to Boston to continue her optometry studies at the New England College of Optometry. She has completed externships in Brockton, MA, where she practiced full scope optometry, experience primary care, ocular diseases, and therapeutics. She also trained at the Perkins School for the Blind helping special needs children with low vision, and at Boston Medical Center assisting traumatic eye injury, congenital cataract, or keratoconus patients with specialty contact lenses. Dr. Byun has participated in vision mission work in White Dog, Ontario, where she provided free eye care to underserved first nations residents. Dr. Byun is a member of the Ontario Association of Optometrists (OAO) and the Canadian Association of Optometrists (CAO). 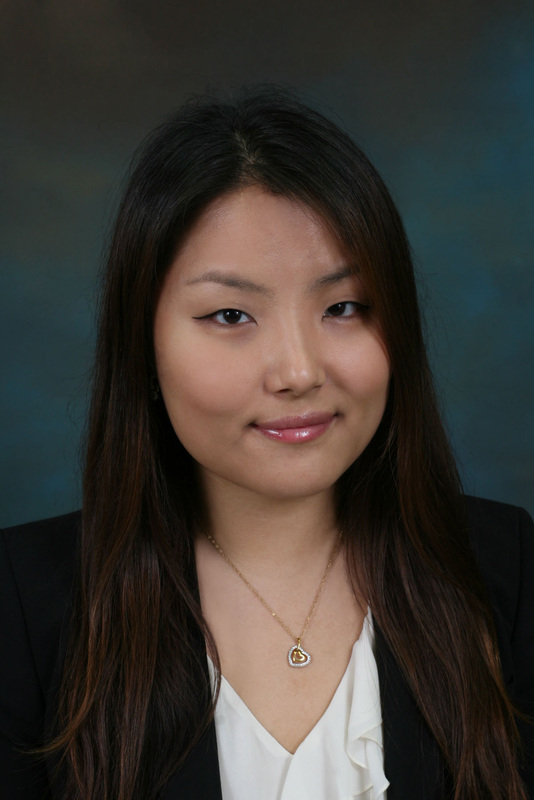 Dr. Byun was born and raised in Seoul, South Korea and moved to Canada when she was 15 years old and is fluent in English and Korean. Dr. Byun provides comprehensive eye examinations including dry eye management, computer vision problem-solving, children’s eye examination, contact lens fitting, eye surgery co-management, adult eye care, diabetic visual assessment and low vision consultation. Dr. Byun has a commitment to providing the best eye-care for all of her patient’s needs. She possesses a calm and caring manner, placing a priority on her belief in patients having access to information in order to make informed decisions about their eye-care.